Lock in a great price for Yamba Traditional Home – rated 9.6 by recent guests! Staying here was absolutely wonderful. 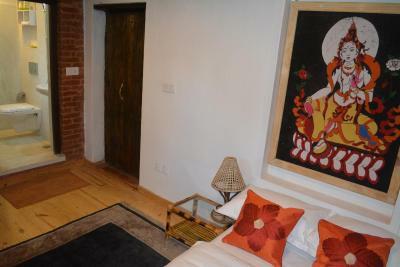 Not only is the home cosy and gorgeous, it is only a few short minutes from Patan's Durbar Square and art district. The host, Mr Pradeep, is exceptionally warm and welcoming. 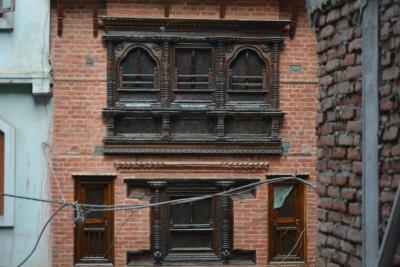 I plan to return to Patan and know I will stay here again, and for longer. Pradeep and his family go above and beyond to make your stay as perfect as possible. The studio we stayed in had a full kitchen and the most comfortable bed. The breakfasts on the open rooftop dining area were excellent. Pradeep had even invited us to have dinner with him, which was also so delicious. The location of Yamba was perfect base for exploring Patan and surrounding communities. 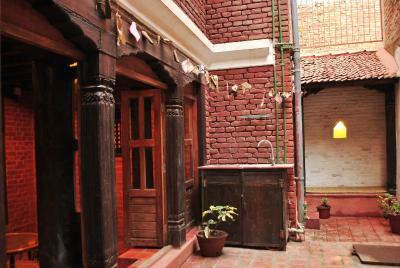 It is right around the corner from Durbar Square and located in a more quiet street off the main roads. Pradeep was also extremely helpful to us in navigating to all the areas we wanted to see around Kathmandu. 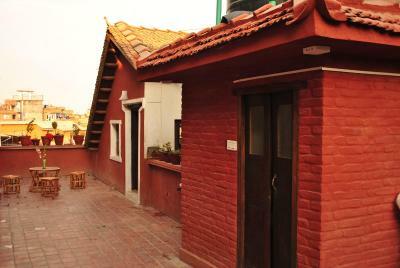 It’s a family-run guest house built by the owner. 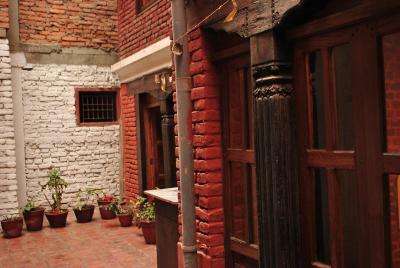 Its location is close to Mangal Bazar, which is one of the most traditional and beautiful places in Kathmandu. I could feel relaxed as if I had been at my own home. The decoration of the whole property is so beautiful! The staff is so nice and provided helpful information around the area! 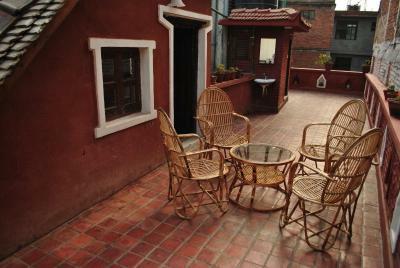 Quiet place close to major sites in Patan. Very friendly and informative owner. The owner, Pradeeh is super nice friendly and helpful. He gave instruction of direction and where to go and what to See every day. 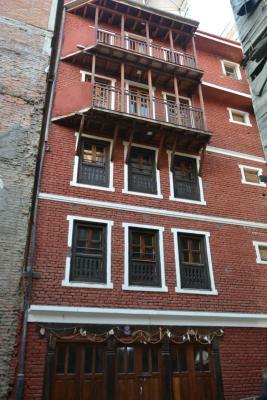 The location is in a quiet street very close to the Durbar Square. 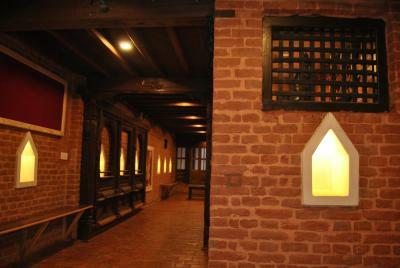 The building is a traditional style home that feels like home. My room is cosy, clean and comfortable with all that one needs in a hotel room. There is electric heating blanket on the bed so I felt warm while sleeping. The breakfast is also plentiful and tasty. I enjoyed my stay in Yamba Home. Very nice host! Amazing breakfast on the terrasse! Most comfortable bed in Nepal. Won’t get better for the money. The location was perfect, tucked away in an alley 5 minutes from the Square. 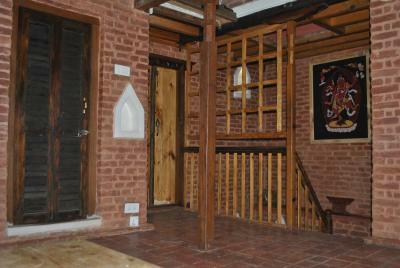 The flat I rented was spacious with incredible architectural detail. It was thoughtfully decorated yet uncluttered. There was even a working kitchen if desired. Pradeep and his family went out of their way to make sure I was comfortable and were helpful with suggestions on nearby excursions. One of our top picks in Pātan – and a guest favorite. 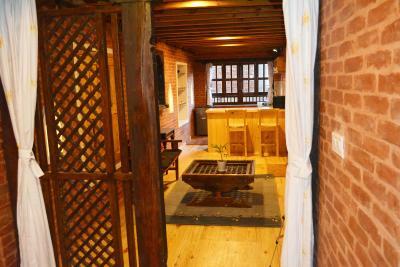 Yamba Traditional Home provides accommodations with a terrace and free WiFi. There's a private bathroom with shower in all units, along with free toiletries and a hair dryer. 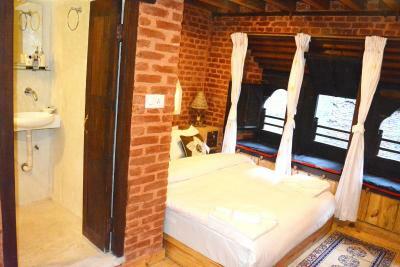 Kathmandu is 3.3 miles from the bed and breakfast. This property is also rated for the best value in Pātan! Guests are getting more for their money when compared to other properties in this city. When would you like to stay at Yamba Traditional Home? This suite has a microwave, electric kettle and seating area. 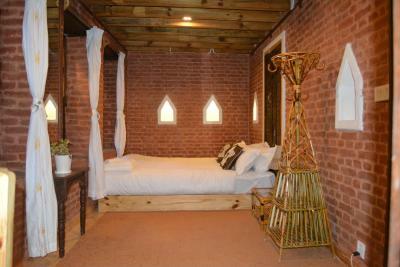 This double room features a electric kettle. 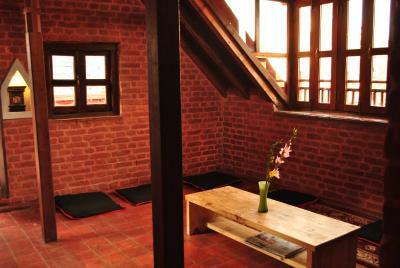 Certain rooms feature a balcony. This single room has a electric kettle. House Rules Yamba Traditional Home takes special requests – add in the next step! After 2,5 weeks trekking in the Everest region the Yamba traditional Home was exactly what I need. 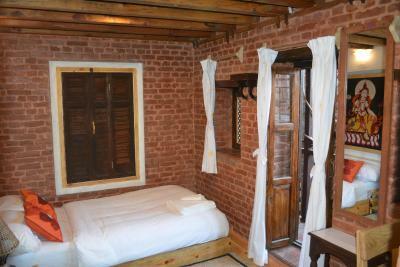 Situated very close to the beautiful Patan Square, it was a comfortable tranquil place. 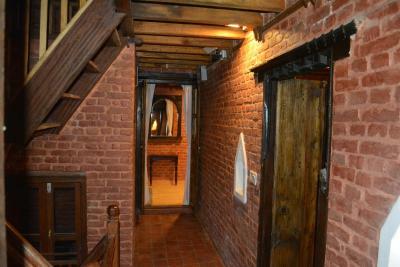 Beautiful historic building, hot shower and a comfortable bed in a nicely decorated room. The host was very friendly and the hospitality was hearth warming. Very comfortable, beautiful and clean room. Bed even has heater attached which made the cold nights so warm to sleep in! Pradeep and his family are very caring people, and they made really good tea and breakfast. Pradeep even borrowed a scooter from his friend when I reached out to him for help as I was stuck somewhere in the rain at Kathmandu. Luckily I finally managed to get a taxi with a help from a lovely stranger before Pradeep has to ride in the rain to fetch me. Lucky! I’ll definitely come and stay again. Patan has so much to offer as compared to Kathmandu. The Durbar Square is full with culture and heritage values, the vendors are not pushy people, people are nice! 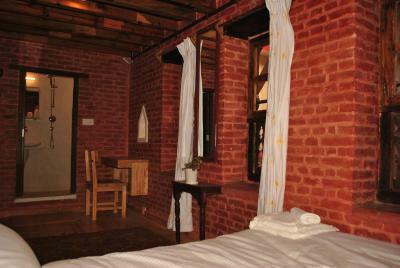 Come to Patan and stay at Yamba Traditional Home!! Beautiful traditional home with very helpful hosts. We stayed in the apartment and it was spacious and beautifully decorated. Breakfast each morning was delicious. 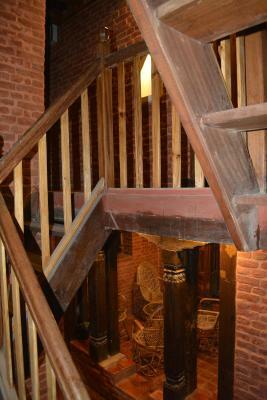 Location was great - a five minute walk from Patan Durbar Square, 25 minute drive Fromm Thamel and a 15 minute drive from the airport. The bed was really comfy. The host and his family was very hospitable and welcoming always making sure I was ok and happy. 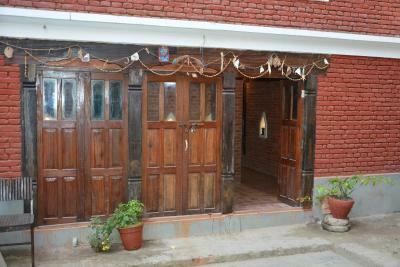 Their home is really unique and wonderful traditional Nepali home with modern comforts. Very nice tipycal house !! Nearby to the square. I loved everything! 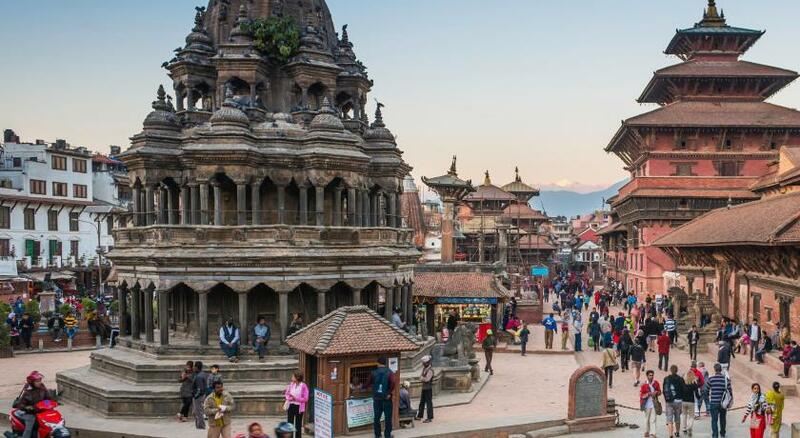 Something for travellers to keep in mind: Patan is an old and traditional quarter of Kathmandu, meaning a perfect location at the sake of certain comodities: streets are dusty and not paved, buildings have steep stairs and no lift, and hot water may not always be available. 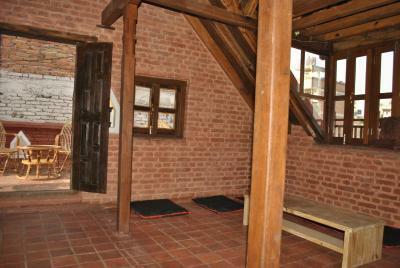 Hence, if you are expecting modern and accessible installations, you will not find them anywhere in Patan. However, if you are open to live the authentic experience in a lovely place with traditional architecture at the care of kind people, then Yamba Traditional Home is the place for you! Mr. Pradeep Sthapit and his family made me feel like home. They were always attentive and helpful: they even took me to the airport at 5:30 am to overfly the Himalayas, or helped me to wear a Saree in order to attend a traditional wedding. There are no words to express my gratitude! 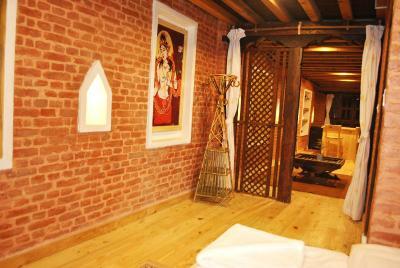 Also, the location, decoration and breakfast (delicious masala tea and juju dhau). 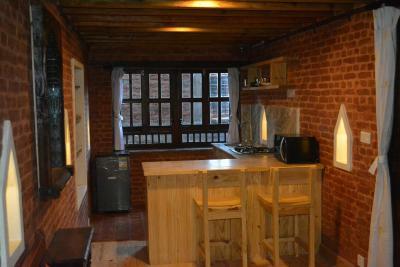 Very clean large room with kitchen and small refrigerator. There was even a heater. Breakfast served on the rooftop. Was able to eat outside. The owner, Pradeep, is very nice and helpful. Five minutes to Durbar Sq. Used Googlemaps to find the way there. It’s on a small side street. 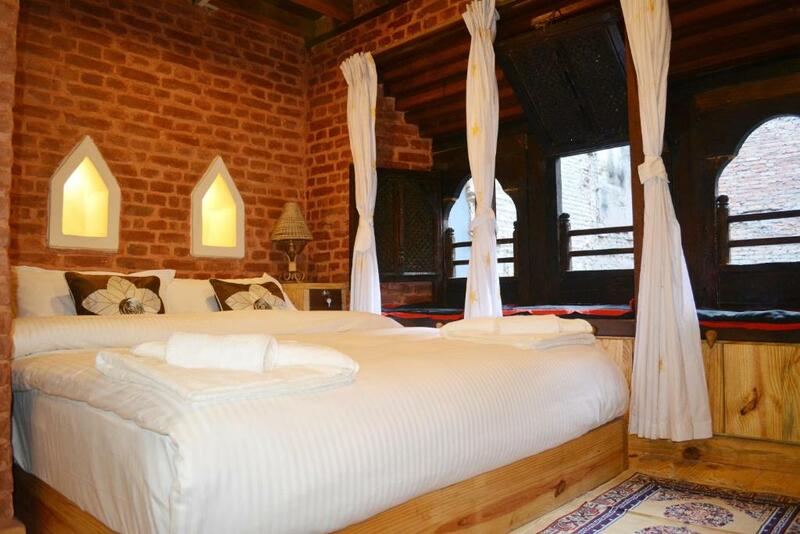 Pretty and quiet rooms in a nice traditional building. Delicious breakfast on the rooftop with a optional terrace where you can enjoy the sun. Helpful staff. I was usually cold, but that is just how it is in Kathmandu in February. It isn't the fault of the host. There was a heater and the bed had a heating pad which was really nice. I recommend bringing warm clothes to wear indoors if coming at this time of year because it can be warmer outside than inside. I was here for 3 weeks and the location was perfect for me. I was able to walk everywhere I needed to go. I also loved the sights and sounds of a neighborhood where people actually live. Of course, with that comes the reality of babies crying and dogs barking at night, but I'm okay with that. It's authentic. The suite was very comfortable. I slept well most nights and really enjoyed that there was hot water every day. The host and his family are also just lovely. Thoughtful and friendly. I enjoyed having dinner with them from time to time. No lift. Very cold during the winter. Location. 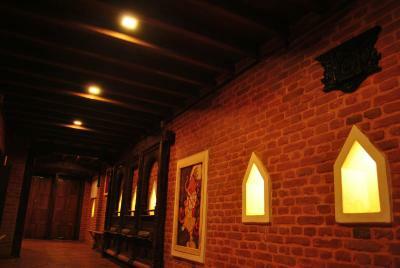 Style of hotel. Nice proprietary.